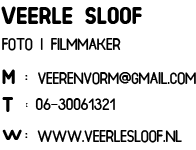 My name is Veerle Sloof. 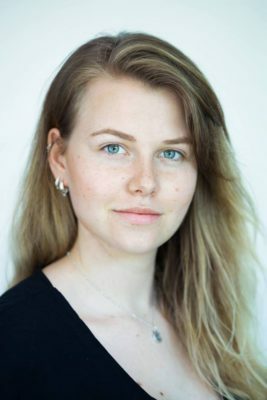 I’m a 22-year-old photographer. In 2014 I started my own photography business: Veer & Vorm. My love for photography started at an early age, when I was 16 years old I already did my first paid photography assignments. When I started at the art academy I was completely taken in by the magic of light and how it can be used to capture an image. Ever since there is nothing I would rather do than creating beautiful concepts. I have completed my degree in audiovisual design and my photographs have been published in Trouw, Elsevier, De Telegraaf, Quest and more. Not only do I work as a journalistic photographer, but I also shoot portraits, commercial reportages, landscapes and art photographs. Recently I followed a specialization course in studio photography at the renowned Speos Photographic Institute in Paris. Thanks to my portable studio equipment I can do my work almost everywhere.